Our first Introductory gymnastics class. This class is Instructor lead, but Parent involved. Parents are guiding their little ones through an hour of our gymnastics class. Our little ones will be rotating through all four gymnastics events on a scaled down level to focus on motor movement, strength, balance and flexibility. We do our best to have weekly themes set up and maintain structure and safety through this class. Children can still be in diapers, as parents are there if need be. Make sure parents wear work out clothes because sometimes this can be just as much of a work out for your little one as it is for you! This is a 60 minute classes for kids who are ready for independent, Parent free class regardless of age. Although circuits and equipment are scaled down to size, Big things are starting to happen. 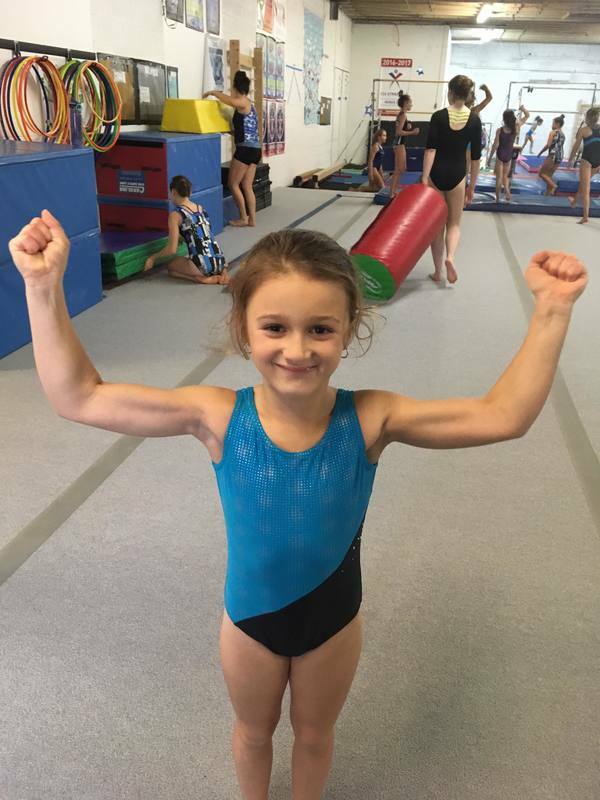 Little ones will be encouraged to work independently as they prepare for the beginner foundation of gymnastics. Strength, Skill and beginner gymnastics tricks are incorporated into our Pre-K Classes. This is the perfect class for your little one. Co-Ed Class designed to keep kids interested the entire hour. A 60 minute class that offers both tumbling and gymnastics. 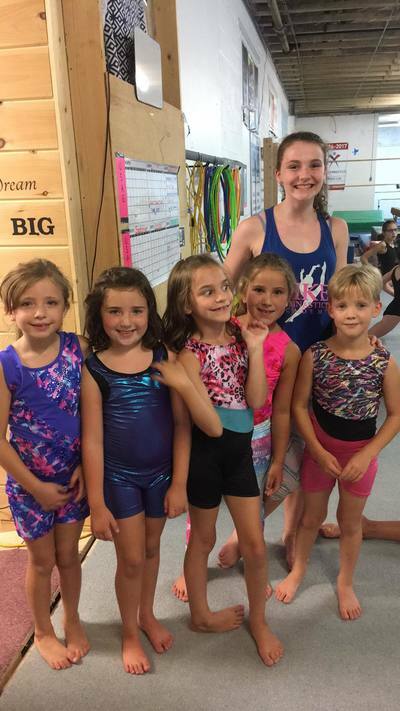 Classes always spend 1/2 their time on gymnastics equipment and the other part of their class working on basic dance positions and creative movement. 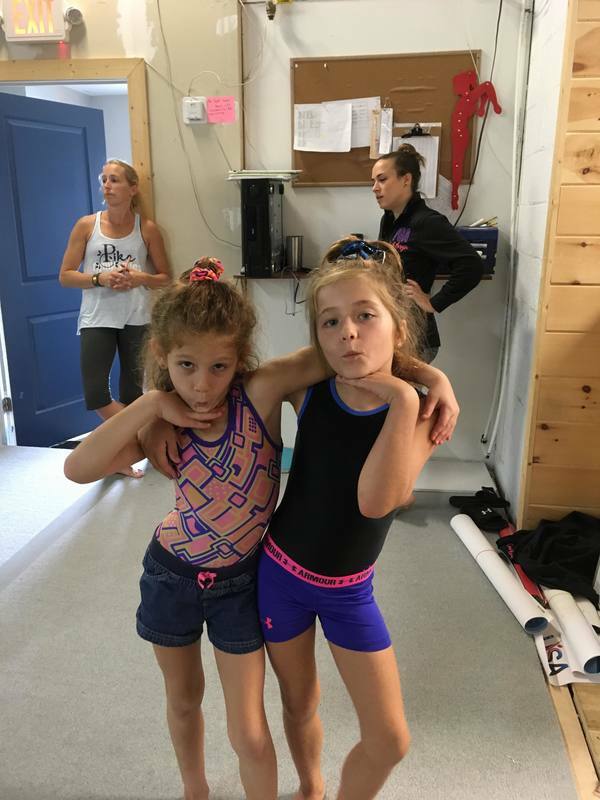 Beginner gymnastics: These classes are Co-Ed and range from all ages. Beginner 1 Classes are geared for our brand new students or students coming out of Pre-k gymnastics. 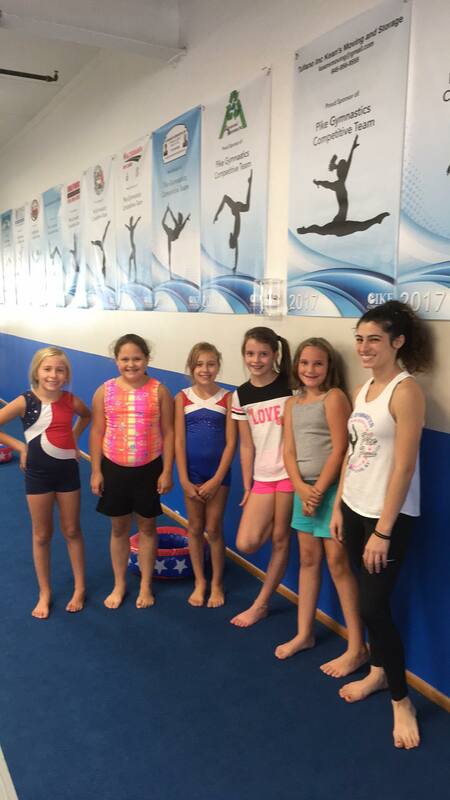 Beginner Gymnastics, We start to teach the most solid foundation to our athletes, We do this through Safety and structure. Classes always rotate through 3 out of the 4 gymnastics events. During this time we progress through the fundamental gymnastics basics. Coaches are always encouraged to coach the athletes to the best of their ability. These classes have circuits to assist girls through their future skills. Beginner 2 Gymnastics: This is an extension of our Beginner 1 gymnastics, returning athletes are always encouraged to try B2 Gymnastics, they are passed the safety basics and understand our rules and structure, they know our coaches and are comfortable in the gymnastics setting. Gymnastics at this level is encourage to be done of mats and on their own, although still at the beginner level.